are an easy way to get your great products in front of customers. And once they know you, you know they'll love you. There are formats available to fit every budget and need. 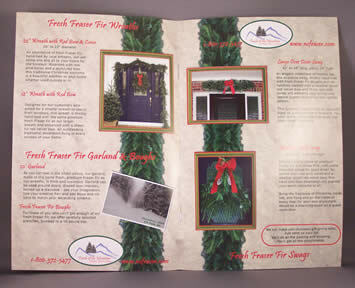 Touch of the Mountain's catalogue is full color: Nature's Tree Farm's were done with full color covers and black and white inside pages. Single color printing can have an effective impact that's cost effective, too. EarthCycle wanted a simple tri-fold. 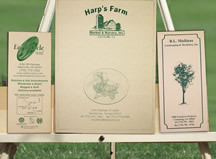 Harp's Farm's catalogue is a 44 page product listing with full descriptions. B.L. 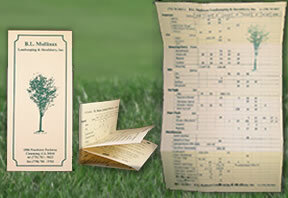 Mullinax's is an 8.5"x14" tree availability listing. Signs and banners reinforce your message.